His previous driving experience had been in automatics but on his intensive course with BIG TOM he drove in Peterborough, Oundle, Harlaxton and where he took his driving test in Grantham. “On Ryan’s first driving test he had a slip up with the road signs but credit where it is due, he has still got his full driving licence within 4 weeks of initially contacting BIG TOM. 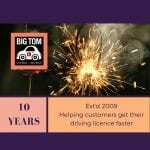 One of the services that BIG TOM provides is an express driving test booking service that leap frogs over waiting queues. 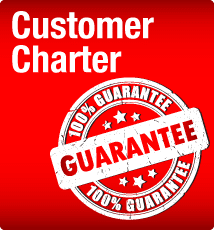 It is a benefit that BIG TOM customers value because it means even if they are not successful on their first attempt, they still get priority treatment. This is how Ryan was still able to get his amazingly quick success despite failing his first attempt. “Very handy techniques for parking”. “The material sent beforehand was really helpful… the videos were especially helpful as they introduced me to new things”. Here you go! 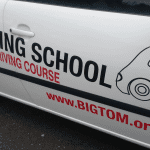 5 top reasons why you would want the BIG TOM intensive driving course rather than *yawn* pay as you go driving lessons. Boring boring boring. Do you know it takes on average 7 months to learn to drive? 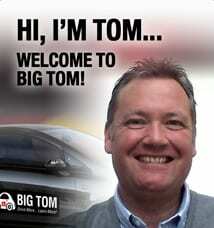 BIG TOM will help you pass your driving test much quicker, often within just 4 weeks of booking. Clear goals. Training with BIG TOM is exciting, focussed and you have a clear goal in mind. Confidence. Trying to maintain confidence levels when you have so many delays, postponements, cancellations is really irritating. Experience. 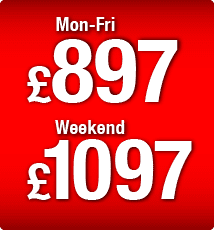 On the BIG TOM intensive course, you get to drive in loads of towns, villages and cities… even across county borders. Trust. 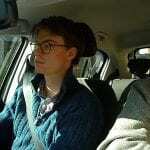 Do you really trust your driving instructor? Many don’t. Working to achieve clear goals with timely feedback builds trust. 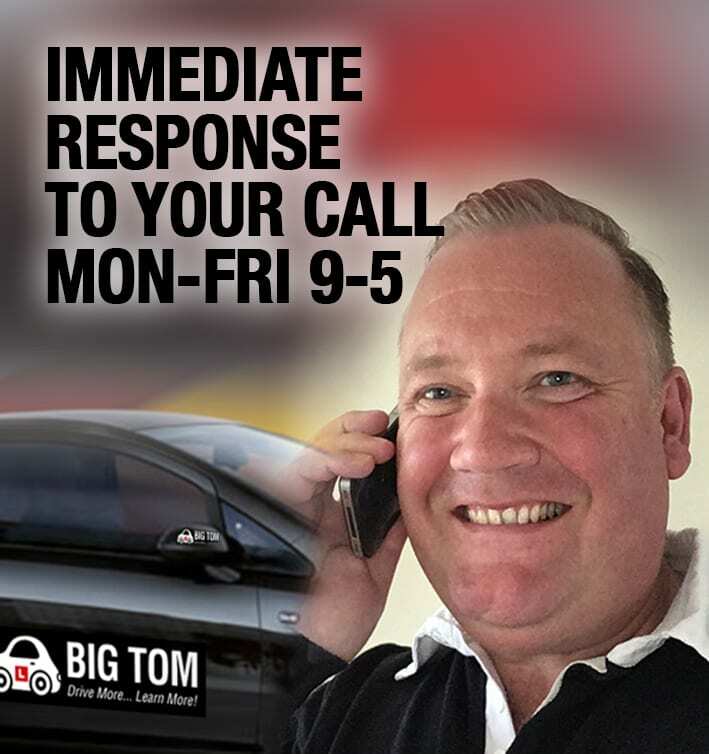 BIG TOM specialises in providing access to an express driving licence with lightning fast response times. Some times people can’t afford to wait several months to get their driving licence by slow-motion pay as you go driving lessons. Joshua Inglis from Morton received a wonderful Christmas gift from his parents – a BIG TOM intensive driving course. 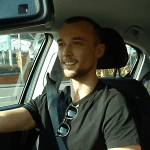 Joshua enjoyed his BIG TOM intensive course and managed to pass his driving test on the first attempt despite having no previous driving experience on public roads. BIG TOM was established in the spring of 2009 based initially in Peterborough. 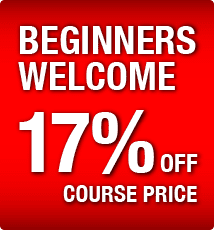 Since then, the winning formula of developing skills and driving experience with high quality practice drills in a safe environment has created a first class service for people who don’t want to have to wait for the old fashioned weekly driving lessons. The range of intensive driving courses now being offered to customers has been as a result of responding to customer feedback over several years. Big congratulations go to David for passing his driving test at Grantham on his first attempt. David is embarking on a new business venture and has big plans where his driving licence was an absolute must. 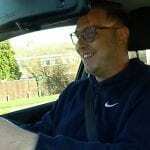 He booked his BIG TOM 2 week intensive driving course on the 19/01/2019 through his company sponsors Specsavers. Just 4 weeks from reserving the course, he now has his full drivers licence and is properly prepared for starting his new career. Basically, this comes down to not interacting with any device that can transmit/receive data while you are driving. (It also relates to any supervisor of a learner driver, so make sure your parents know that before they take you out doing private practice). Pushing buttons when the device eg mobile, sat nav, ipad is NOT in your hand is ok (more on that in a minute), the problem comes in law, when a driver/supervisor is holding the device. So any device that has an interactive communication function must not be held in the hand. This includes when stationary at traffic lights or momentarily paused for any reason. If a driver needs to make a call for a genuine emergency eg 999 then that is an exemption. By far the best advice to offer BIG TOM customers is to put the device out of sight AND reach. The temptation to pick it up can be too strong otherwise. If you need to make a call (or in any way interact with a device), pull over, turn the engine off, take the key out the ignition first. The offence code is called CU80 and remains on a licence for 4 years. Do remember that this must be disclosed to insurance providers. In terms of punishment, a driver may get 3-6 points on their driver’s licence, a fine up to £2500 or a ban. If a driver accumulates 6 points on the licence within the first 2 years of passing their driving test, then they would need to re-take the driving test and theory test. Do be aware that not being in full control of the vehicle while driving could be construed in a court of law as an offence regardless of physically handling devices eg pressing buttons on an in-built radio, adjusting car controls such as heating/lights/wipers. 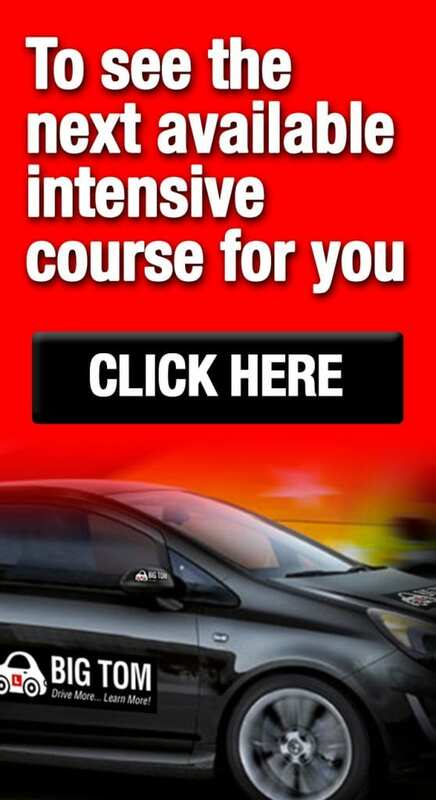 Dealing with distractions, in general, is definitely covered in your BIG TOM intensive driving course. Here at BIG TOM Admin we do get many enquiries about certain offence codes on driving licences and due to the variety involved there is a handy link provided here. We know how hard our customers work on their BIG TOM intensive driving courses to get their full driving licence and it would be a great shame to ever hear of anyone losing their licence due to any driving offence. The proliferation of mobile phones means that it is highly likely that drivers and passengers get into vehicles with a mobile on them and so our advice here is to put them straight into the glovebox.